Mounting a bike rack on the car will assist you to save more space and you will transport your bike with less hassle, you need to ensure that the bike rack that you purchase is compatible with your bike and does not damage your car. There is a lot of options out there and they are not created equally, let’s take a look at the Top 10 Best Bike Racks for Cars in 2019. If you are picking a rack which holds your bike on the top tube, you should remember to look whether it has padding on securing points. This will help to bike not to be scratched and protect the paintwork when the bike is locked in place. The rack that you are purchasing to attach your bike must have a method or attachment points where you can attach to your car. This will depend on the style of rack that has been utilized. Generally, you want the point that touches the vehicle to be well padded or coated with a plastic. This will prevent any damage to your car paintwork. Transporting a bike can be stressful but if you have the Swagman Roof Bike Rack it will be simple for you, this bike rack fits one bike and has a loading capacity of 35 lbs. it features a 9-mm skewer that will secure the bike front fork and on top of that, there is no tool required to assemble this rack. Just mount the bike with the 2 wheel-clamping hooks then you are good to go. As the matter of fact, these clamping hooks can fit either oval, round and square bars that have a maximum of three inches wide. This bike rack will carry your bike upright on the top carrier of your car. The RockyMounts holds 2 bikes and has a weight capacity of a maximum of 60 pounds for every bike. Moreover, it is simple to use and comes with less cost compared to other types of bike racks. Most importantly, this bike rack has the capacity to hold all styles of bikes such as children bikes, downhill bikes, mountain bikes, road bikes, and fat bikes. It can be efficiently and easily adjusted for the passenger side or driver side configuration in order to fit any car. You are only required to hook over the front wheel hence there is no bike frame contact. The Lenox Hitch Bike Rack has been designed for you to provide convenience if you want to take your bike to the next place, it will provide easy loading and unloading of the bike by sitting lower permitting less lift when loading the bikes, in addition to that, the bike will be lifted to wheel hoops and then tie down utilizing the padded grip arms, rubber straps and then voila. The grip arms are made to hold a lot of frame types and the sliding wheel platforms can be able to accommodate wheels that measure 20-29-inch. The bike will be protected, secure and safe from frame damage! The BV bike Carrier will offer the most efficient way of carrying the bikes, it is made with a tilt backward design to allow the operators to open the gates without separating hitch rack, on top of that, the bike will be secured by the 2 tray-style arms and this will make the bike to be firm and does not sway when traveling. 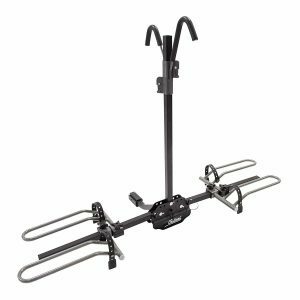 With this kind of bike Carrier, you will be able to carry the bike to the place that you would like, moreover, you can fold this rack whenever you are not using it hence will save you a lot of space. 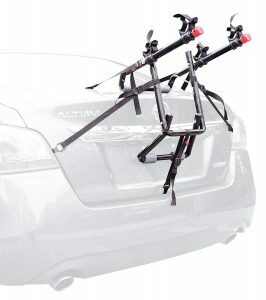 This versatile vehicle-mounted bike rack is compatible with most of the cars, it likewise can hold two bikes comfortably and does not require any tool when loading or offloading. 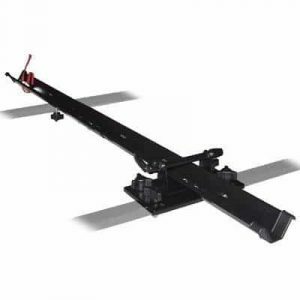 In addition to that, it has a loading capacity of 120lbs and the rack can be folded when not in use hence it will save you with a lot of space. 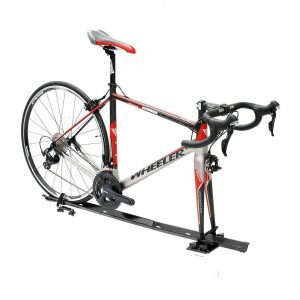 If you are searching for a compact bike rack for adventures, then consider this carrier, it will hold your bike in place and also will protect the bike frames from the scratch. On top of that, it is quick to set up and dependably secure. 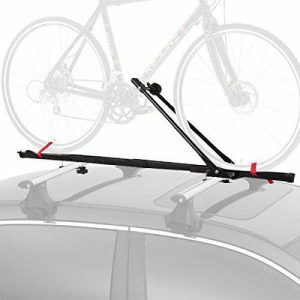 Do not be stressed again whenever you want to transport your bike to the next destination because the CyclingDeal Car Roof Rack will help you to load the bike into your car and comfortably transport it. The rack is furnished with Tie down straps that will securely fix the bike wheels and has frame holder that will hold the bike frames securely making it be steadily in place. It will fit all the bikes that have 9mm front quick release fork and has a weight of up to 2.12kg. On top of that, you can easily load and offload the bike and no tools required. 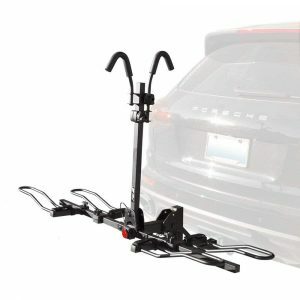 The Cyclingdeal Car Rack Carrier is well-suited with most bicycle sizes, it is made with solid steel that makes it durable and will serve you for a long time. Moreover, you do not require taking off the front wheel in order to transport the bike, it is safe and simple to lock the bike and does not have complicated steps. It features frame holders that securely holds the bike firmly in a steady place preventing any scratching of the bike. It does not end there because it will fit bars of up to a thickness of 1.96 inches and width of 3.34 inches. 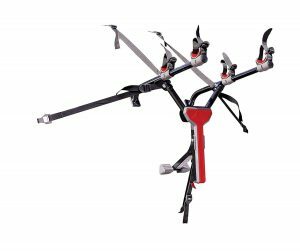 The Allen Sports Bike Rack can transport a maximum of 4 bicycles and features quick lift-gate access and a folding carry arms that will hold your bike in place and you will transport it safely. In addition to that, it is easy to assemble and to mount on the car whenever you want to transport your bike. 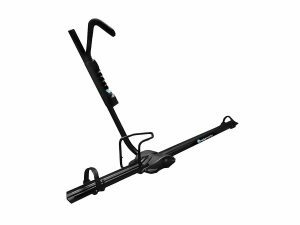 It features durable rubber cradle straps that will keep the bike in place and can hold any bike with any type of tube size. On top of that, it has tie-downs that have soft cradle bed that will protect the bike when you are transporting it. This two-bike carrier is one of the best and Ultra Compact Bike Rack you can find in the market, it is easy to use and will bring more convenient whenever you want to transport your bike, on top of that, it has a foldable design such that it will save you much space. It features dual tie-down cradles that will secure and protect your bicycles. It has a patented design of MT and AL racks and is compatible with minivans, hatchbacks, SUV’s and sedans; consequently, it comes with a handy bag to store the Rack when it is not in use. 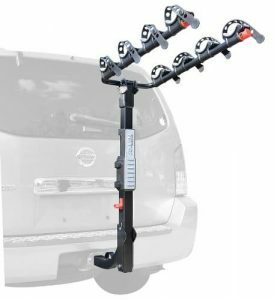 This is our top most Bike Carrier that can is compatible with wide variety of vehicles, it features a patented tie-down system that will protect and secures your bikes, on top of that, it has 2 sides straps that will give exceptional stability on your car. Setting up this rack is simple and quick. The straps are very simple to adjust, in order to keep the bike more stable, additionally; it has a middle frame that will keep the bike away from the vehicle. 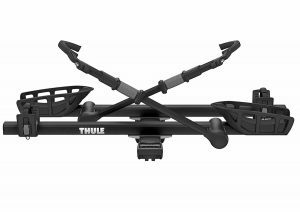 The 2 side straps will give more stability to the rack when on your car. Purchasing a good bicycle rack ensures that you get to transport your bike with safety and have an adventure with you anywhere you go. The lists above of the top 10 best Bike Racks are the best. Get one that will perfectly match with your needs.